Concrete Curbing & Flatwork in Lakeland – If you live in the Lakeland, Florida area, you can rely on us at AAA Top Quality Asphalt for all of your asphalt jobs. Not only are we leaders in asphalt work, but we specialize in top-quality concrete, as well. Some of the concrete work we do includes concrete curbing & flatwork. Concrete flatwork is any concrete that is poured on a horizontal plane, including parking lots, sidewalks, dumpster pads and concrete islands. We are experienced working within tight time frames and coordinating with other trades to guarantee a high level of trade and workmanship. Concrete curbing & flatwork projects may start with the excavation of soil from the area where we will be pouring the concrete. Depending on the foundational support, some projects may require a sand or gravel base for extra support, while some projects may be poured directly onto the soil. A mold is built, and rebar or wire mesh may be placed within the structure before the wet cement is poured. Concrete curbing is often used in landscaping to create a permanent border. Because it is a pretty labor-intensive job, concrete curbing is not something for the faint of heart. At AAA Top Quality Asphalt, we have the experience and expertise for all your concrete curbing & flatwork jobs in Lakeland, Florida. Our equipment, teamed with our professional crew, ensures that the project will be executed with precision and done with all safety precautions taken into consideration. Contact us today for all your concrete curbing & flatwork needs! If you are in the Lakeland, FL area and are interested in adding concrete curbing to your commercial or residential landscaping, our team would love to help. Concrete CurbingCurbing is a great way to add style and structure to a landscape. At AAA Top Quality Asphalt, we have the experience and expertise for all your concrete curbing & flatwork jobs in Lakeland, FL. If you live in the Lakeland, Florida area, you can rely on us at AAA Top Quality Asphalt for all of your asphalt jobs. 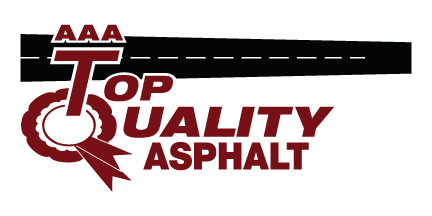 Here at AAA Top Quality Asphalt we provide quality Concrete Curbing & Flatwork for customers in and around Brandon, Plant City, Lakeland, Tampa, Winter Haven and Clermont, Florida!